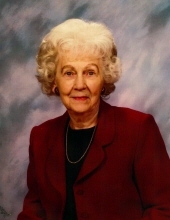 Margaret Elliott (Fielding) Davey joined her husband, Marine aviator, John E. Davey, Sr. in the heavens above on the 2nd day of April 2019. Born on October 3, 1922, to Harold A. and Esther (Elliott) Fielding. She grew-up on Friend Street in Ryal Side. After graduating from Beverly High School ‘1940 and Salem’s Teacher College ‘1945, she taught high school English and history for a short while. Except for the 21 years following her Marine on tours of duty in Texas, Florida, California, Hawaii, North Carolina, South Carolina, and Georgia, she was a life-long resident of Beverly. Mrs. Davey enjoyed a long career as a real estate broker with Archer Insurance. She enjoyed oil painting and was an accomplished pianist. She was an active member of the First Baptist Church of Beverly and served on many committees; including Endowment Fund and Harbor Light House Committees. For many years, she shared her Christian stewardship by visiting homebound members until she herself began to receive that service as a resident of The Herrick House. Often of dry humor and sharp wit, she rarely passed-up on attending Peabody-Essex Museum lectures; or a good music performance; or antiquing; or a colorful outfit with matching accessories; or heaven forbid, the opportunity to display her creativity at “Scrabble.” She often stated one of the keys to her longevity was to exercise daily (except Sunday). Even before it was popular, she could be seen walking in her North Beverly neighborhood, but she always returned to her “Pink House,” a symbol of her independence. In addition to her parents and her husband, Mrs. Davey will be re-united with grandson, John E. Davey III, granddaughter, Rachel Fielding Davey, son-in-law, William Frederick (Biff) Cappelmann and brother-in-law, George Munroe. She is survived by her daughter Coral Cappelmann (Beaufort, SC); son John E. Davey, Jr. and wife Jean (Bluffton, SC); son Quinlan E. Davey and wife Catherine (Gloversville, NY); and son Nyle K. Davey and wife Jan (Hamden, CT). She is also survived by grandchildren Chad Davey of NY; Rebecca Davey Rinaldi and husband Michael of NJ, Anne F. Davey of NYC; Deborah Davey Fukuda and husband Seiya of Fitchburg, MA; Rachel’s husband Patrick Sullivan of VT; and Travis Davey of TX. Her heart was also filled with a love for her great-grandchildren; Samantha Rinaldi, Natalia Rinaldi, Balin Sullivan and Griffin Davey. She is survived by her loving sister, Patricia (Fielding) Munroe of Solon, ME, and Pat’s children Bruce Munroe, Brian Munroe, and Kit Munroe as well as numerous grandnieces and grandnephews. The family would like to thank the staff at the Herrick House for their outstanding care over the past six years. The family also appreciates the compassionate care and professionalism that the staff at Ledgewood Rehabilitation & Skilled Nursing Center has shown over the past six weeks. To send flowers or a remembrance gift to the family of Margaret E. Davey, please visit our Tribute Store. "Email Address" would like to share the life celebration of Margaret E. Davey. Click on the "link" to go to share a favorite memory or leave a condolence message for the family.